Founded in 1956, Andalas University is a cornerstone of Indonesia’s higher education sector, pioneering the establishment of a leading educational institution outside Java in Padang, West Sumatra. As the country’s fourth oldest state university, Andalas University continues to be one of the most respected institutions nurturing talented human resources to meet the needs of burgeoning local businesses, well-established multinationals, as well as attracting international students. Through 15 faculties and 43 departments, Andalas University offers an extensive collection of undergraduate programs in addition to 28 masters degree programs and six PhD programs. In fulfilling the academic potential of the 25,000+ students currently enrolled, the university adopts an internationally-recognized method of student-centered learning to encourage active participation in the classroom as well as during field training. Such commitment to academic excellence positions Andalas University as one of only two institutions outside of Java to have obtained ‘A’ accreditation, a notable feat supported by more than 440 PhD holders in the university’s teaching staff. As an educational institution set against the backdrop of a unique Minangkabau culture and West Sumatra’s strong agrarian tradition, Andalas University’s academic blueprint is also tailored to be in harmony with its surroundings. The university has thus made available a broad selection of topics in keeping with the region’s immense agricultural potential, dynamic economic growth, as well as in embracing its heritage. Andalas University is broadening its horizon to take a more international approach to learning at the tertiary level. The university currently hosts more than 150 international students and maintains a fast-growing list of joint research projects, faculty exchanges, and other forms of international collaboration. Established in 1996, BINUS UNIVERSITY is a premier private institution of higher education offering international standard courses at both the undergraduate and postgraduate degree level. Initially founded as a provider of vocational training focused on computer systems and informatics, BINUS has grown to offer a full range of programmes to its more than 30,000 students spread throughout eight campuses. BINUS UNIVERSITY is also part of the BINUS Foundation that was originally founded in 1974. BINUS UNIVERSITY has strengthened its emphasis on IT as the central pillar of its well-earned reputation for excellence through the implementation of IT-based processes in course curricula and at every level of internal operation. This has seen the university become synonymous with a modern approach to higher education in Indonesia as well as with the development of entrepreneurial, globally oriented graduates particularly equipped to spur innovation in tech industries. BINUS UNIVERSITY has strengthened its emphasis on IT as the central pillar of its well-earned reputation for excellence through the implementation of IT-based processes in course curricula and at every level of internal operation. This has seen the university become synonymous with a modern approach to higher education in Indonesia as well as with the development of entrepreneurial, globally oriented graduates particularly equipped to spur innovation in tech industries. Success in this regard is further emulated through BINUS UNIVERSITY’s ‘A’ accreditation status which was issued by Indonesia’s National Accreditation Board of Higher Education (BAN-PT). BINUS is ranked as a Top 11 university in Indonesia – an achievement awarded by QS in 2016 – which acknowledges the higher education institution for its upper-hand in inclusiveness, teaching, employability, and social responsibility thus positioning the university as a leader in Asia’s higher education institution. BINUS UNIVERSITY further distinguishes itself within Indonesia’s highly competitive tertiary education sector by collaborating with international universities to form ties that facilitate initiatives such as the creation of unique joint degree programmes. Through BINUS INTERNATIONAL, the university has founded a School of Engineering and a School of Design with partner institutions from Japan and the United Kingdom, respectively, and demonstrated its commitment to results from MoUs and partnership agreements. Through more than 130 international partner universities, BINUS UNIVERSITY prepares its students for the local and global stage. Targets such as the aim to place graduates in multinational companies coupled with an existing network of more than 1,000 alumni members overseas has seen BINUS emerge as a beacon for a bright new future for Indonesia’s higher education sector, in which international cooperation serves to fuel the development of globally-competitive human capital. Founded in 1969, Perbanas Institute is one of the country’s leading institutions specialising in banking, finance, and information technology education. Having been established by the esteemed Indonesian Banks Association, the institute is focused on generating talented and thoroughly qualified professionals for the finance and IT sectors to meet the demand for talented human resources in Indonesia’s financial services sector. Perbanas is on course to become one of Asia’s top 5 banking education institutions by 2019 leading the development of conventional and Shariah banking. Perbanas Institute’s accredited programmes for diploma, bachelor's honours, and postgraduate levels are led by a dedicated faculty with a wealth of professional experience in local and global business. The institute also places a strong focus on research and adopts a forward-thinking approach to the finance industry which is reflected in the course curricula. As such, students are provided with unparalleled industry insights and benefit from an innovative curriculum that stands as the core foundation of its trusted reputation. Understanding the growing demand for well-qualified higher education institutions in banking and finance, Perbanas Institute is set to strengthen its industry standing with upcoming plans to become a fully-fledged university. Within what is an increasingly crowded private higher education sector, Perbanas Institute excels beyond its competitors receiving regional prestige for Shariah banking research and development. To further this mission, in mid-2016 Perbanas Institute introduced its Shariah Economics undergraduate study programme as part of the institute’s ever-expanding available courses; the niche programme is the first course of its kind in Indonesia. Cooperation with key international partners including partnerships with the Association of Chartered Certified Accountants (ACCA) and CPA Australia has further cemented the institute’s increasingly pronounced role on the regional stage as a centre for banking and finance education. Perbanas Institute remains steadfastly committed to their mission of producing the best banking professionals in Indonesia. In a measure to accommodate to the increasing demand from students in addition to improving upon its cutting-edge learning facilities, Perbanas Institute aims to develop its campus facilities while also striving to establish a far-reaching presence in secondary cities throughout Indonesia. Unwavering commitment to education and research places the institution in a prime position to be a driving force for conventional and Shariah banking education developments and to forge further ties within its network for sustainable advancement of the banking industry in Asia. 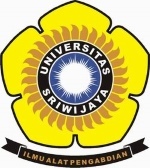 Founded in 1960, Sriwijaya University (UNSRI) is a prominent higher education institute located in Palembang, South Sumatra. As one of Indonesia’s oldest state universities, UNSRI’s forte lies in its research capabilities in science, technology and the arts; producing graduates with high levels of technical and disciplinary skills enabling them to work across a multitude of disciplines. UNSRI plays an important role in developing an effective and highly-competitive academic system in Indonesia converging higher education and research with innovation that will enable the country to compete in the knowledge-based global economy. Success in this regard is reflected in Sriwijaya University's accomplishment in which it recently became an A-accredited university in 2016. Sriwijaya University offers an extensive collection of study programmes at the undergraduate, master’s and doctorate level. Through the more than 10 faculties made available, the university delivers a student-centred learning environment that offers the utmost learning capacity for its students. The university’s research focus in the areas of ecology, agriculture and environmental sustainability have resulted in concrete end-products that are in demand by industry players; the Faculty of Agriculture in particular is renowned for developing their in-house patented products. This demonstrates how UNSRI’s vision and mission are in line with the Indonesian government’s initiatives within food and environmental sustainability as well as the improvement of healthcare as the country’s aims for greater socio-economic development. As a university located in the historical city of Palembang in the province of South Sumatra, UNSRI stands at the forefront of local development through its research collaborations with local and international partners. The province’s abundance of natural resources as well as Palembang’s strategic geographical location has warranted the Indonesian government to designate the city as one of 11 economic corridors in the government’s MP3EI Master Plan. As such, UNSRI graduates are playing a role in providing innovative solutions that will increase Indonesia’s regional as well as global competitiveness. Trilogi University is a newly established university formerly known as STEKPI, one of Indonesia’s leading business schools based in Jakarta, founded in 1988 under the Jakarta Education Development Foundation. The school has always focused on providing the highest level of teaching quality and professionally experienced faculty members to prepare graduates for immediate entry into the workplace through extensive soft skill development alongside practical knowledge. Over the decades, STEKPI has undergone a series of revitalisations in order to adapt and keep pace with the educational needs of Indonesia’s banking and finance sector. The recent development of Trilogi University is a reflection of Indonesia’s rapid economic development and the need for more creative and technology savvy entrepreneurs as well as improved sustainability within the areas of food and energy. Trilogi University now offers a comprehensive range of new courses for graduates and undergraduates including Bioindustry and Telematics in addition to the continuation of STEKPI’s business and finance programs. The curriculum of each course has been carefully designed taking into account the latest trends in the industry as well as instilling the values of ‘teknopreneurship’ whereby students are encouraged to create business ventures which benefit the surrounding community. As the university enters a new and exciting phase in its development, it has begun to establish links with Indonesia’s leading universities and is keen to forge ties with further academic partners within the ASEAN, Asia Pacific and Australasia. Established in 2013, Surya University is a private educational institution positioned at the forefront of research and innovation in Indonesia. Under the guidance of founder Prof. Yohanes Surya, PhD – a name synonymous with the advancement of education for his work as a physicist and longstanding coach of the hugely successful Indonesian Physics Olympiad Team – the university has quickly asserted itself as the future of Indonesia’s tertiary education sector, driven by a faculty of highly motivated doctorate degree holders already regarded as global leaders in their fields. In distinguishing itself within a market soon to benefit from a young demographic increasingly drawn to the advantages of an international standard education, Surya University proactively addresses issues that have long hampered the development of skilled human resources in Indonesia. In addition to advancing Indonesia’s currently lack lustre capacity for scientific research through the introduction of more than 75 on campus research centres; the university prioritises collaboration with government organisations and private sector companies. This ensures that they readily anticipate industry demand and areas most in need of talented graduates with the potential to become leaders of business and academia. A keen understanding on what Indonesia needs to become a mature economy manifests itself in the provision of highly specialised programs on subjects such as plantation agribusiness, biotechnology and environmental engineering. Going forward, Surya University in 2015 will mark the next phase of its ascent to the top of the higher education sector with the opening of its new ultramodern campus in Serpong. The university also intends to further its local presence by reaching out to lesser served parts of the archipelago and offering full scholarships to the country’s most talented students; thereby building a strong nationwide human resources base prepared to contribute to Indonesia’s development. Founded in 1959, Tarumanagara University is one of Indonesia’s longest standing institutions of higher education offering award-winning programs at both the undergraduate and graduate degree level. Tarumanagara University’s proven track record over the last five decades in creating the next generation of great thinkers now serves as the foundation to its most recent goal: implementing technology within its curriculum to propel Indonesia to the frontier of tertiary education. Tarumanagara University offers 16 bachelor degree programs, seven masters degree programs and two PhD programs across an array of majors. In striving to provide the best standard of education to its more than 14,000 students, the university has adopted e-learning teaching methods to create an immersive out-of-class studying experience to support lectures led by a faculty of advanced degree holders. As such, Tarumanagara University has distinguished itself through the attainment of ‘A’ accreditation, an achievement that stands as testament to the quality of its wide selection of courses. Tarumanagara University is also characterised by its commitment to research. Academics within the university are provided with direct channels to showcase their work through an all-encompassing E-Journal as well as print publications released in partnership with national centres for research. Going forward, the university will soon offer access to cutting edge laboratory facilities at a new campus in the fast developing satellite city of Karawaci. This expansion will only serve to strengthen Tarumanagara University’s well-established position as a private sector pioneer, trendsetter and force for innovation in higher education. Al-Azhar University is a private Islamic university in Jakarta implementing an interdisciplinary curriculum. The institution offers undergraduate and graduate degree programs through its faculties of Psychology and Education, Law, Economics, Social and Political Studies, Literature, and Science and Technology. Ciputra University is a private university in Surabaya, East Java, founded by Ir. Ciputra, a prominent Indonesian businessman and philanthropist. The university focuses on nurturing entrepreneurship skills through its undergraduate and graduate degree programs which range from Business Management, Accounting, IT, Design, to Psychology.